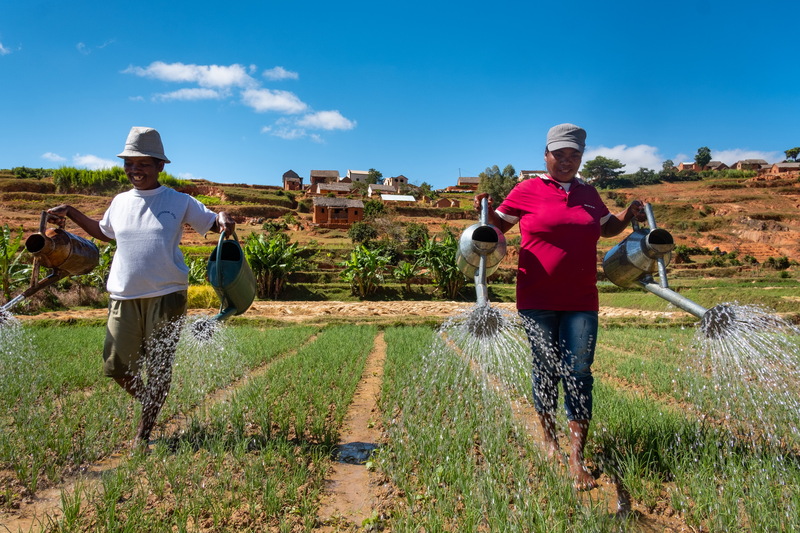 In Analamanga, a region in central Madagascar, gardening during the off-season contributes to a better, more varied diet for the farmers and their families. In 2005, when AKF began working in Madagascar, families in rice farming communities sometimes ate only one meal a day during the off-season between harvests. To date, more than 80,000 rice farmers have learned how to produce more rice of better quality, in shorter time, and their families no longer have to deal with chronic hunger. AKF is now working with these farmers to optimise the land and soil during the off-season, to plant vegetable and fruit gardens that can contribute to a better, more varied diet. In Cabo Delgado, Mozambique’s northernmost province, populations suffer from particularly poor health and nutrition. As a result, one out of every two children suffer from stunting. To help address this problem, AKF has trained mothers on how to prepare enriched porridge to ensure good nutrition for their children. In response to vitamin deficiencies in the remote, mountainous regions of the Kyrgyz Republic, the Foundation has promoted kitchen gardens. At high altitudes, vegetables like carrots and tomatoes were hard to grow, but with support from AKF and its partners, 160 kitchen gardens were established in over 20 villages. To contribute further to dietary diversity and improved nutrition in the region, AKF helped small-scale farmers to construct Chinese-style solar greenhouses, where vegetables could grow during the winter even when temperatures dropped as low as -20 C.
The high-altitude kitchen gardens of the Kyrgyz Republic have been replicated in different geographies including South Egypt. In Aswan, one of the country’s poorest governorates, women are now improving their household nutritional status and incomes by cultivating rooftop gardens. Worldwide, AKF supports health and nutrition initiatives that reach over 800,000 people.